This project is for my own personal fun and learning. Hopefully it’ll be fun for some to read about my progress as well. My first (poor) attempt to generate faces. Read on to see how I did this. I expect this project to have maybe 7 steps. I’ve done steps 1 and 2. It was surprisingly easy to crawl/scrape images from Google, Bing, and Baidu image search given the Python package icrawler. Here is a code snippet showing how easy this is. keywords = ['걸그룹 프로필 사진', '걸그룹 셀카'] # e.g. 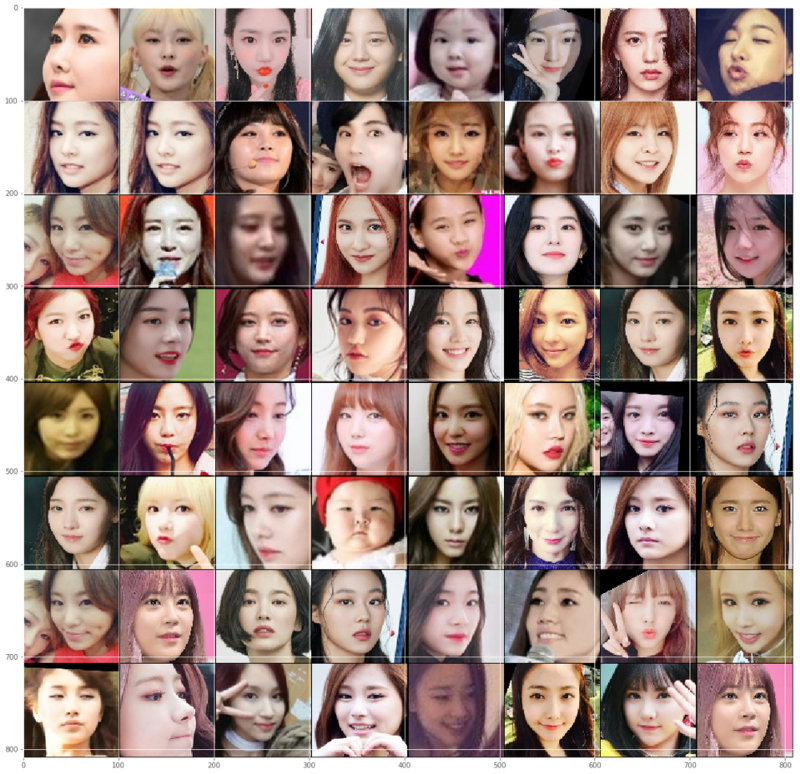 "girl group profile pic"
I used multiple search engines and keyword phrases in different languages both to get more input data (images) and provide more variety in the input data (variety deriving both from algorithmic differences and cultural differences, i.e. Chinese journalists might depict K-pop a bit differently). Another reason for using Chinese keywords for Baidu image search: it seems that Baidu tends to do a poor job of providing relevant search results when searching in other languages. I did all of the above by adapting existing code snippets and using the OpenCV, Keras, and imutils packages. For the time being, I wanted to ensure that the input data includes only female faces, not male. Since gender classification is already a common ML task, I thought I would re-use an existing model. 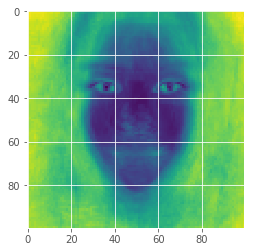 In fact, I ended up using TWO existing models (1, 2) with different neural network architectures and only let images through if both models classified them as “female” above a certain probability threshold. One might point out that if I just re-use an existing gender classification model without understanding it, I might be unknowingly introducing bias. For example, if the model had been trained mainly on caucasian faces, then the model might only be able to output high probabilities of “female” when the face looked somewhat similar to a caucasian face (and the model might be less certain otherwise). Well, that’s OK for now, because 1. 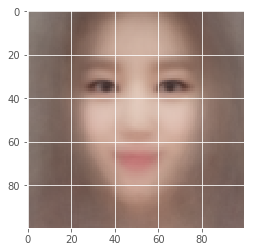 I’m just having fun here and 2. the result seemed to be a good representation of female K-pop faces (in terms of my own qualitative judgement). A further side benefit of using this gender classification filter is that, for images that are somehow weird or failed to be normalized properly (e.g. the the person is making a funny face or the picture is actually of an animal not a human), the gender classifier will tend to be uncertain about the gender classification, and hence such images would get filtered out by this filter. The autoencoder architecture I used was simple and conceptually similar to the below. Each column, a vector of values, is a layer in the neural network. 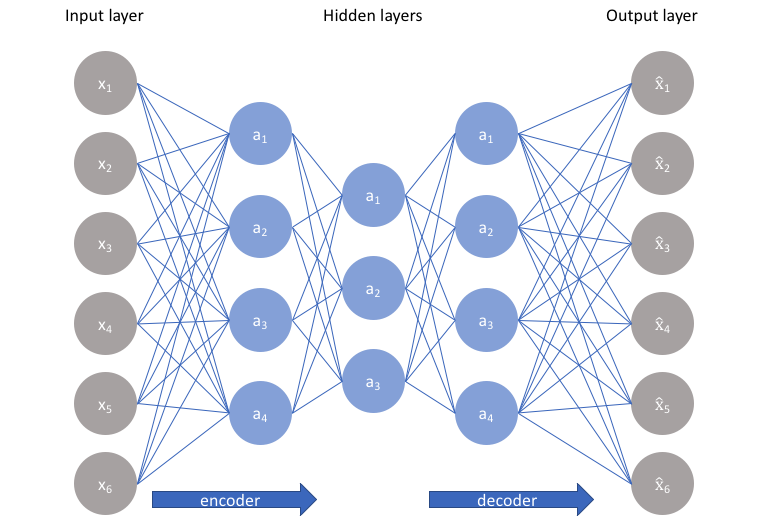 We train the autoencoder by trying to make it produce an output image that is similar to each input image, which forces the “bottleneck” (middle layer) to capture the essence of the image in a very small vector of numbers. For now, I used only a vector of 2 values (elements) as the bottleneck in the middle. It turned out that, without any intentional design on my part, these 2 values ended up representing hair color and horizontal face rotation, respectively (or something close to that). I think a casual human observer would also qualitatively comment that these 2 factors (hair color and face rotation) are the primary cause of variance between images, so it’s cool that the neural network discovered the same factors automagically. This is one big use case for autoencoders (and some other ML algorithms) in general: you can boil down complex information to its essence, which can be represented simply. The animation at the top of this post combines the results from varying the 2 values in the bottleneck vector between -1 and 1 and then applying the decoder to those values. The code is not super clean, but here it is. A good part of the code was borrowed from session 3 of the class Creative Applications of Deep Learning Using Tensorflow on the e-learning platform Kadenze. It’s a great class, but it might be a bit out of date. Please stay tuned for part 2 =D Hopefully I’ll be able to generate more realistic images next time.